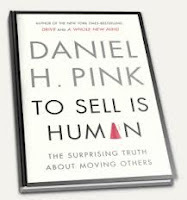 Changing What's Normal - Ian Berry's Blog: "To Sell Is Human" and "Becoming a category of one"
"To Sell Is Human" and "Becoming a category of one"
I finishing reading these two great books at the weekend, adding both to my recommended reading list. There is a lot of synergy between these two books. I have long been a fan of Daniel Pink and To Sell Is Human is a great companion to his previous works of Drive - the surprising truth about what motivates us and A Whole New Mind. 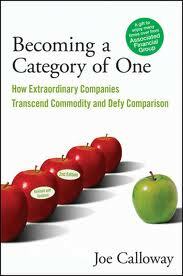 I have known of Joe Calloway for many years and got his book Becoming a category of one - How Extraordinary Companies Transcend Commodity and Defy Comparison on the recommendation of Rage Gage whose book Risky is the new safe I recommended in a previous post. I bought both Daniel and Joe's books on Amazon for less than $20. How easy it is to educate ourselves and learn and share in the 21st century! Please download my full reading list here. Glad you enjoyed To Sell is Human. Dan is a guest on Marketing Made Simple TV airing Thursday at noon ET at www.marketingmadesimple.tv and many syndication sites.